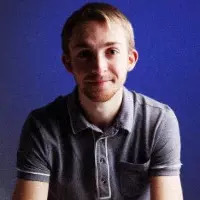 Hi my name is Dan and I am a full time table tennis coach living in Bristol. If you are interested in improving your table tennis you have come to the right place. 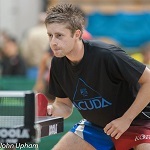 I provide a wide range of coaching services to both individuals and larger groups of aspiring table tennis players. Whether you are looking to beat that bogey player in the local league or become a National champion I have the expertise and the passion to ensure you achieve your goals. I have been working at the Bristol Academy of Sport for the last 3 years and I have a proven record for improving the standard of large groups of players. I am flexible with travel and costs, and guarantee that with some hard work, we can achieve any goal we set together. Table Tennis is fun, great for fitness and for developing hand eye co-ordination. It can be played by all ages and abilities – boys and girls can play together, so it’s ideal for mixed classes. I have visited many schools and have helped set up after school clubs within the Bristol area. I hold first aid qualifications along with full CRB checks. I have had many years of match coaching experience, one of my greatest coaching achievements was when I coached Gavin Rumgay to win the 2012 Bristol Grandprix. 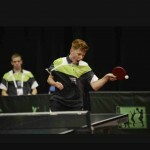 Gaving Rumgay is Scotland’s no.1 table tennis player and world ranked 220.